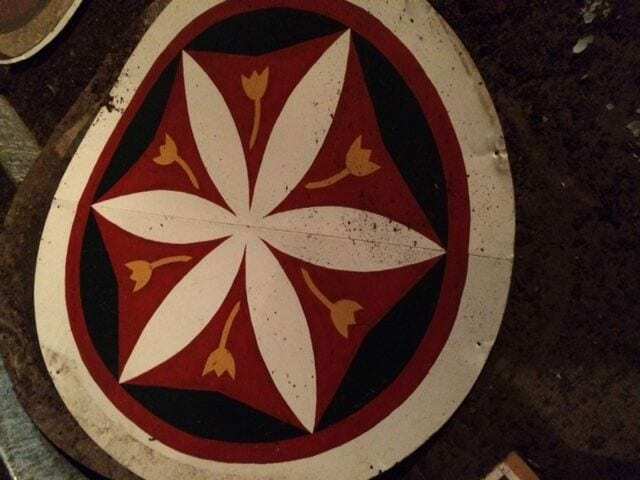 The Garth Oberlander Barn, a historic barn now an events venue, was originally decorated with four hex signs. 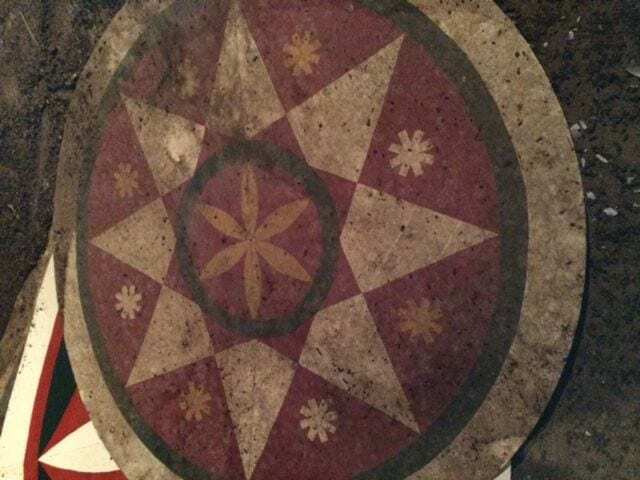 Thought to be lost for decades, the painted metal signs have been discovered by volunteers from the Delaware County Historical Society. 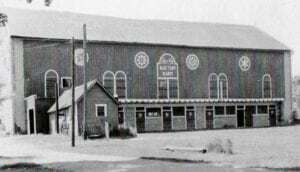 The Delaware Ohio barn has been a landmark since the 1840’s. It stands at the southern gateway of Delaware County Ohio at US 23 and Stratford Rd. 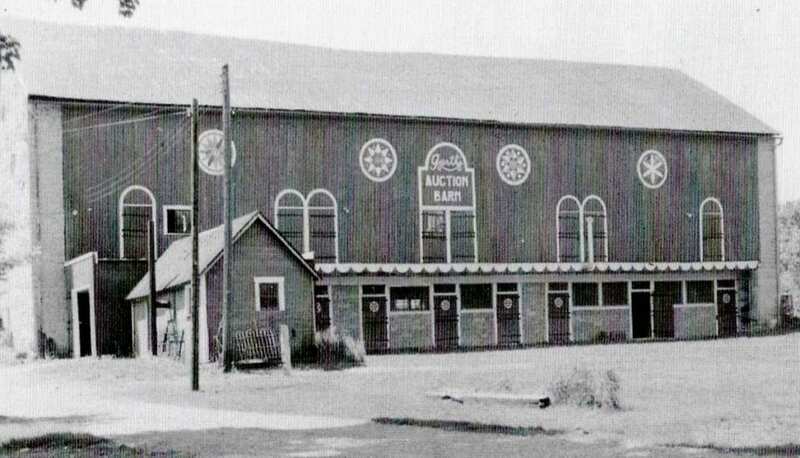 The barn was known for decades as Garth’s Auction that sold fine arts and antiques worldwide. It is now The Barn at Stratford – a historic barn events venue. 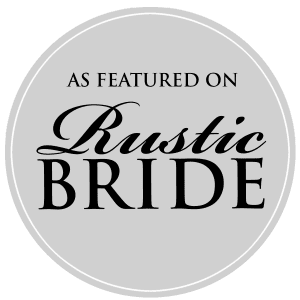 The barn now hosts barn weddings, corporate events, training events, and special occasions up to 160 people. 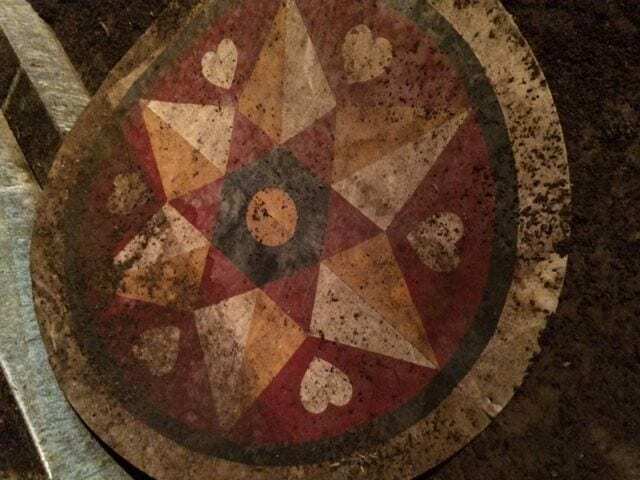 The hex signs were discovered in the barn loft hidden by dirt an debris. Much of the barn loft had been converted into workrooms for preparing and storing auction items. 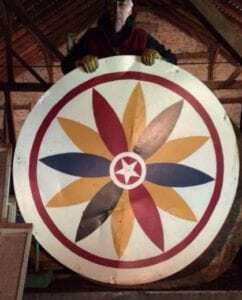 Each of the signs was carefully removed to be cleaned and restored to preserve these beautiful pieces of Delaware Ohio history. 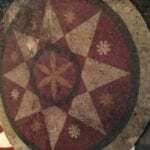 The signs feature traditional symbols of rosettes, tulips, hearts, stars of five, six, and eight points. The rosette is said to symbolize good luck. 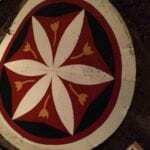 A twelve pointed rosette connotes 12 months of blessings. The tulip is for faith. The stars are associated with protection with the different number of points requesting varying specific protections. 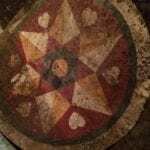 While it is interesting to ponder the meaning of the symbols, most researchers have found the “hex” signs were not a reflection of faith. Instead they believe the signs are a reflection of farmers’ to improve the appearance of their barns. We look forward to seeing these historical icons on The Barn at Stratford once again after their restoration. Thank you Delaware County Historical society for preserving another piece of our history.